I moved to San Francisco at 18 and made my home here, holding a wide variety of odd jobs, studying art first as CCSF and then at CCA. I am continuously intrigued by the unexpected moments found in the city's many peripheral public spaces. 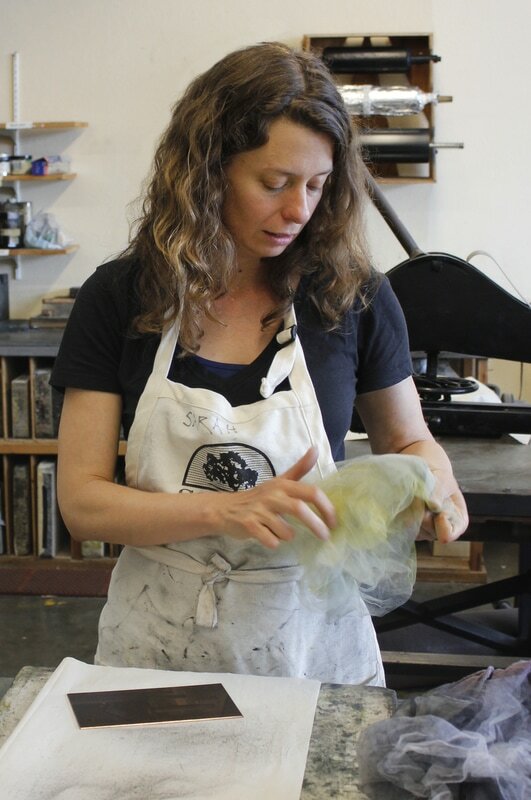 In addition to having my studio at 1890 Bryant, I'm also a member of a cooperative printmakers' workshop. I enjoy walking, whether backpacking in the Sierra or just out and about, ignoring "no trespassing" signs, and pretending to learn another language by slowly reading novels in Spanish. Find me exploring outside, at a nearby library making unexpected discoveries, or in my studio.